· Bi- and Multilingualism are associated with improved executive functions (the ability to pay attention and carry out tasks), in addition to memory and cognitive flexibility. It is also clear that the more languages one knows, the easier it becomes to learn additional languages. This is in addition to commonly strengthening vocabulary in the native language. · Employees knowing a second language obtain an average of an additional $3,000 per year compared to their monolingual coworkers. In contrast, nations that are predominantly monolingual can see changes in their Gross Domestic Product of a few percentage points. · Multiple studies have shown that those who speak a second language have a decreased incidence of dementia. Another study has shown that those recovering from stroke have improved chance of normal cognition compared to those who are monolingual. · Bilingualism is associated with increased ability to see perspectives through an alternative route, associated with improved judgment, and cultural awareness and tolerance. There are so many benefits to foreign language acquisition. Perhaps another one is the bonding that can occur between parent and child when they practice the language together! 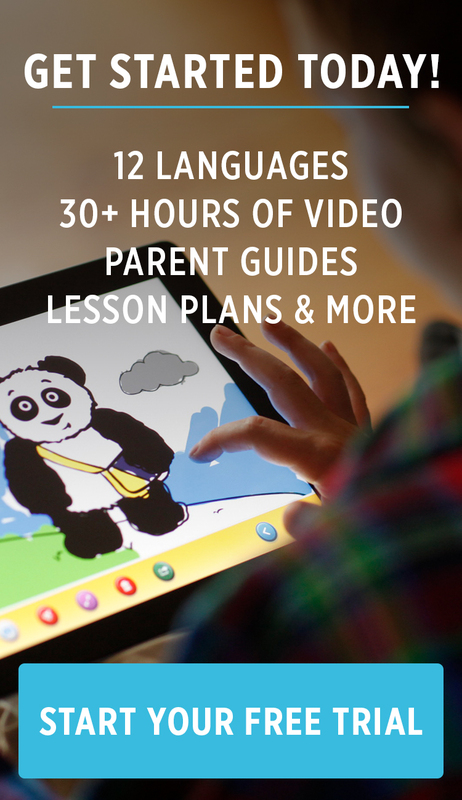 Check out the accompanying parent companion guides on LittlePim.com to supplement our language-learning videos, and enjoy the many wonders of learning another language with those you love. Older PostWhy learn a second language?